MOSCOW, January 24. /TASS/. Russia’s Sukhoi Su-57 fifth-generation fighter jet has started flights with the most advanced air-launched weaponry on its board, Tactical Missiles Corporation CEO Boris Obnosov said in an interview with the TASS-published Bulletin of Military and Technical Cooperation. "Tense work is underway. The entire set of precision weapons for this aircraft, both inside the fuselage and on an external sling, is being developed by the Corporation’s enterprises. 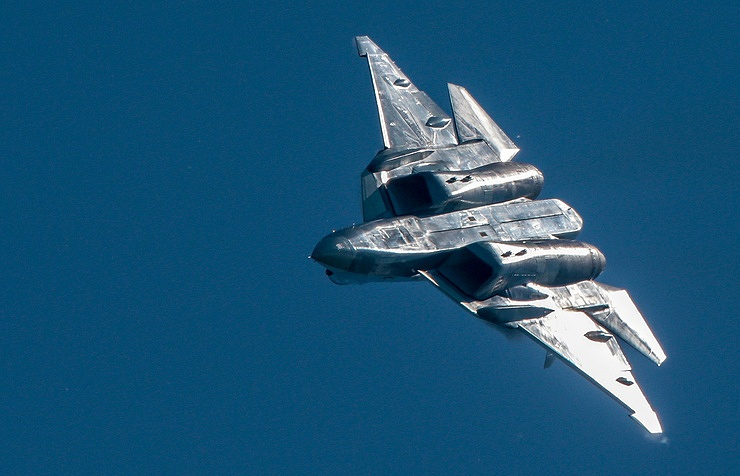 We have switched to practical flights and I believe that we will see the result in the imminent future," Obnosov said, responding to a question about progress in implementing the program of developing air-launched weapons for the Su-57 fifth-generation fighter. "The basic work, i.e. launches, is forthcoming," the chief executive said. Currently, the so-called first stage engine 117S is mounted on the Russian fighter. A new engine has not yet received its name and is conventionally designated as "the second stage engine."